In addition, we have short-term summer and online programs for homeschooled students looking to elevate their learning skills and study habits prior to making the college transition, and professional development opportunities for homeschooling parents looking to improve the classroom experience for their students. Learn more about why Landmark College is your best choice by requesting more information or scheduling a visit to our beautiful, southern Vermont campus. A checklist of Admissions requirements for homeschooled students can be found here. The choice made by Neil Norby’s parents to homeschool him and his brother was probably borne out of necessity as much as philosophy, according to Neil. He describes the location of his childhood home as “off the road and up a hill” and recalls needing to be watchful for rattlesnakes during games of hide-and-seek in the yard. When Neil was very young, he says the homeschooling experience was predominately directed by his family. He was given a lot of latitude in picking the books he wanted to read, and he was able to dedicate himself to playing the violin. 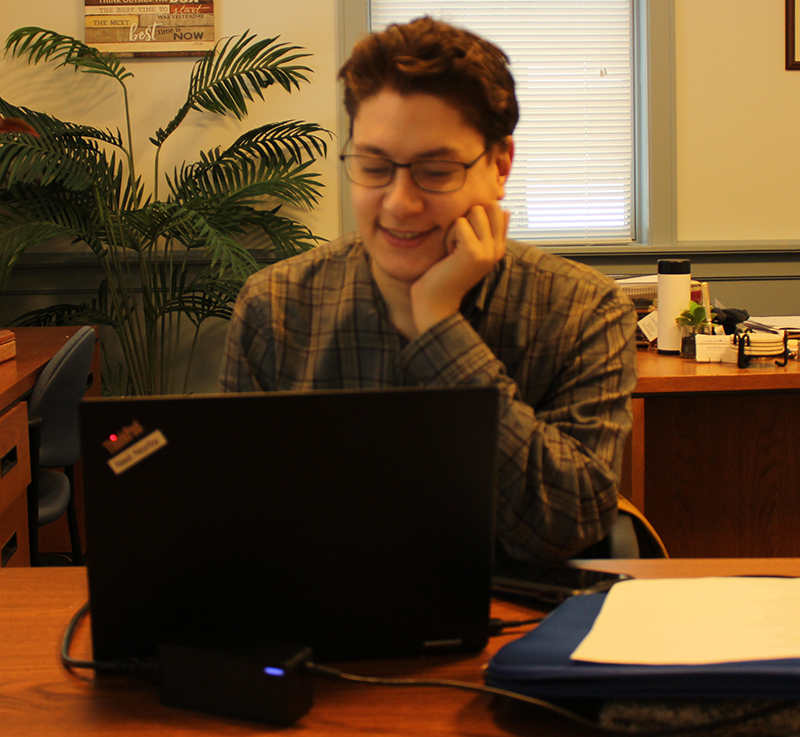 As he advanced into his teens, Neil used online curricula and a tutor to meet the academic requirements for his GED. He also joined a youth orchestra in nearby Santa Fe, which enabled him to not only pursue his passion for music but also socialize with peers. Neil says it was his mother who suggested he look at Landmark College, and after making a visit to the Putney, Vermont campus, he thought it would be a good next step. “I wanted to try out something that people without learning differences do. But [Landmark College] specializes in educating people with learning differences. So, it seemed like a great compromise,” Neil explained. Going to class with a group of students was definitely a new experience for Neil. “The thing I had the most trouble with while transitioning from being homeschooled to being in college was remaining focused and doing things on time rather than getting sidetracked,” he said. He credits his relationship with his academic advisor and “liberal amounts” of help from the Drake Center for Academic Support (DCAS) with helping him successfully make the adjustment. Neil is enjoying the opportunity to be more social in the college setting. He’s been part of the jazz band here at Landmark College, and plans to join the chamber ensemble. “I’m glad I chose Landmark, because if I’d chosen a more traditional college I don’t think I would do as well,” Neil said.